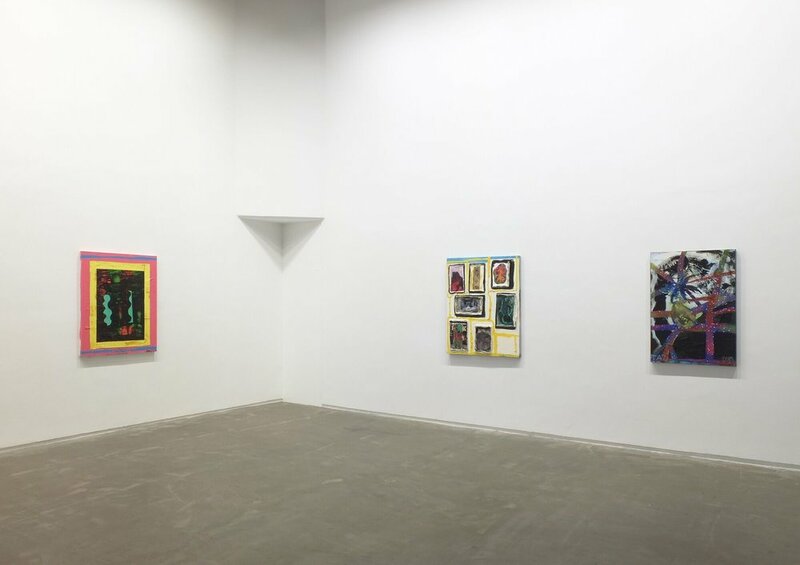 Since the 1980s, Chris Martin has been a significant figure on the New York painting scene, notable for his exuberant experimentation with the medium. 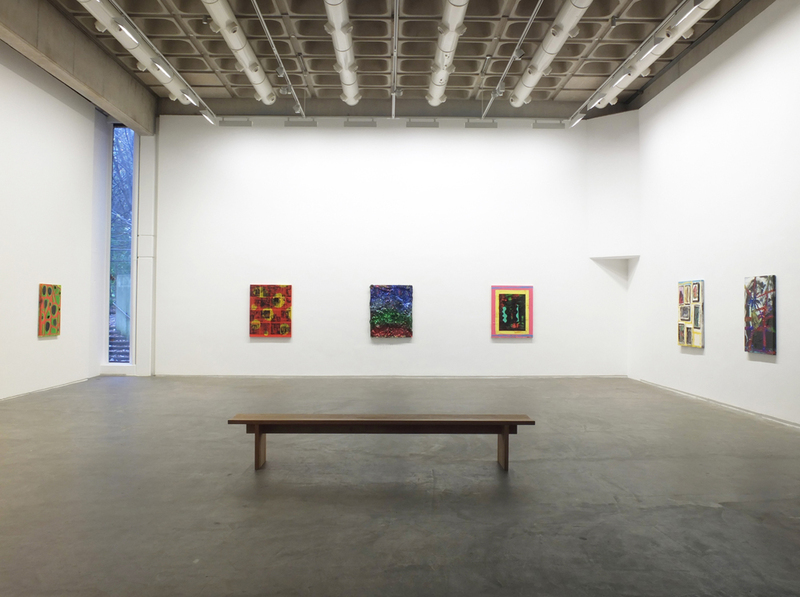 His enthusiasm for painting and its history is expressed literally in the work, for predecessors and influences are readily acknowledged; among them are Paul Thek, Alfred Jensen and Thomas Nozkowski, who have all previously exhibited in the Douglas Hyde Gallery. Music features prominently too, as well as references to popular culture and psychedelia. Martin's work is always connected to the particulars and textures of everyday life. Graffiti in his neighbourhood inspired him to paint with greater immediacy and on a larger scale; he has sometimes left partly finished paintings outside to be exposed to the rain and sun. 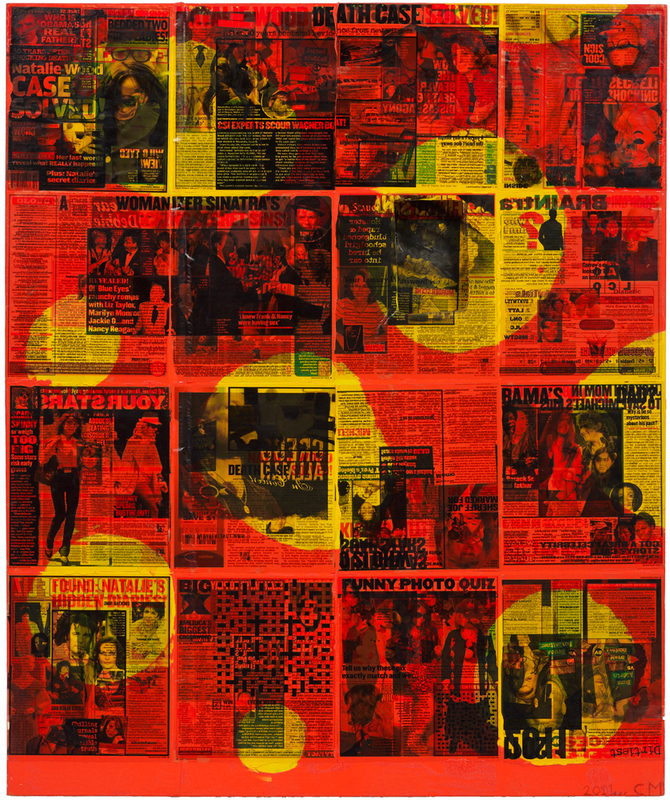 Images are appropriated from newspapers, books, magazines and album covers; slices of bread and vinyl records have been attached to his canvases, which are almost always covered with vibrant colours and, on occasion, large quantities of glitter. 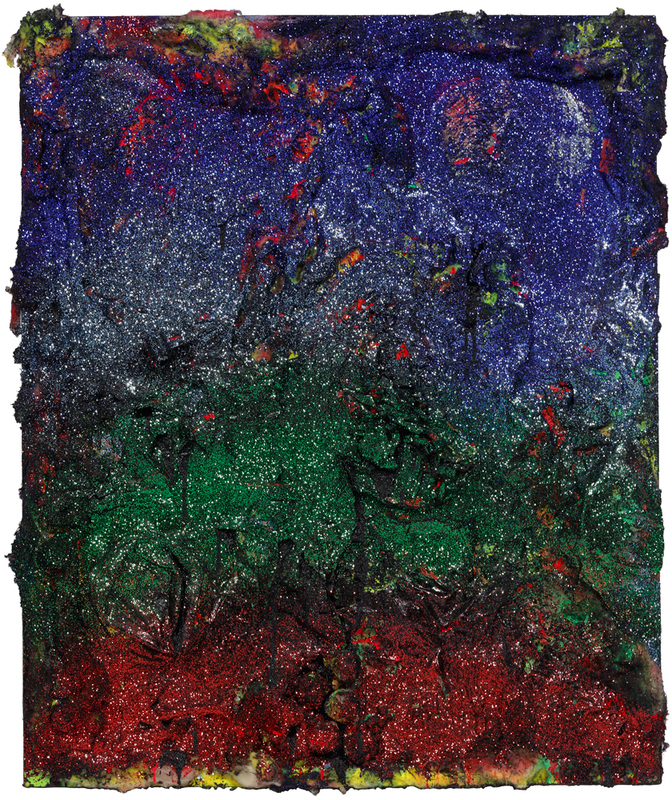 A hugely prolific and expressive artist, he makes much of the value of mistakes, bad taste and inconsistency. 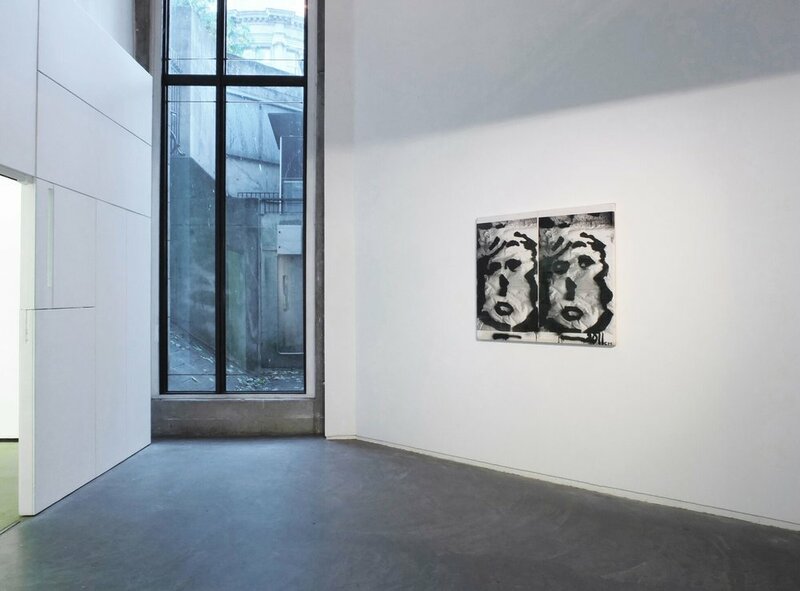 Chris Martin has recently exhibited at Galerie Rodolphe Janssen, Brussels; Kunsthalle Düsseldorf; KOW, Berlin; Anton Kern, New York; David Kordansky Gallery, Los Angeles; and Corcoran Gallery of Art, Washington DC. 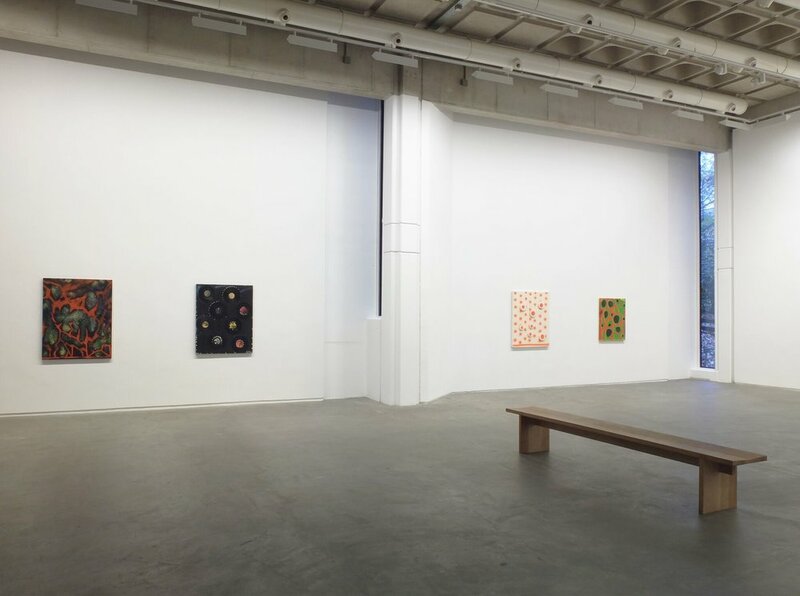 His paintings have not been shown in Ireland before. A new and fully illustrated publication with a text by Peter Gallo will accompany the exhibition. The Douglas Hyde Gallery would like to thank the artist, Anton Kern, New York and KOW, Berlin, for their enthusiasm and support. Click here to view the Chris Martin publication.